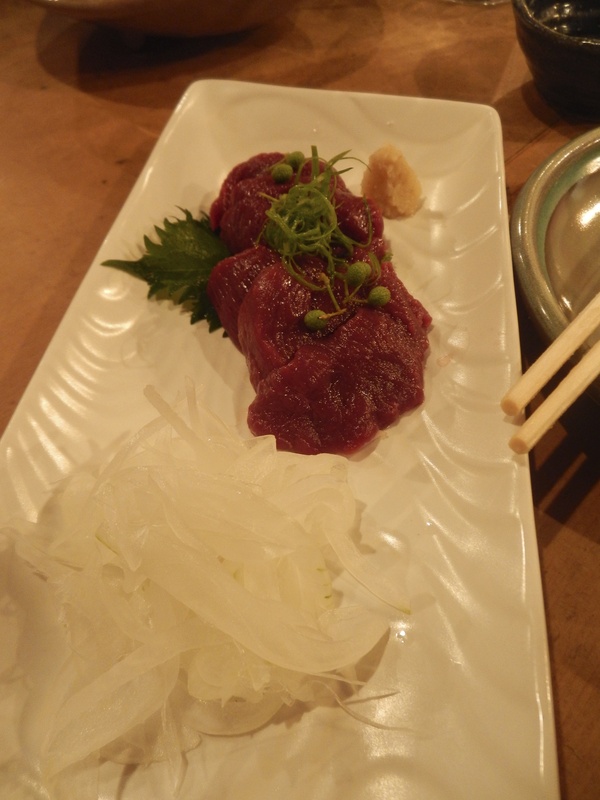 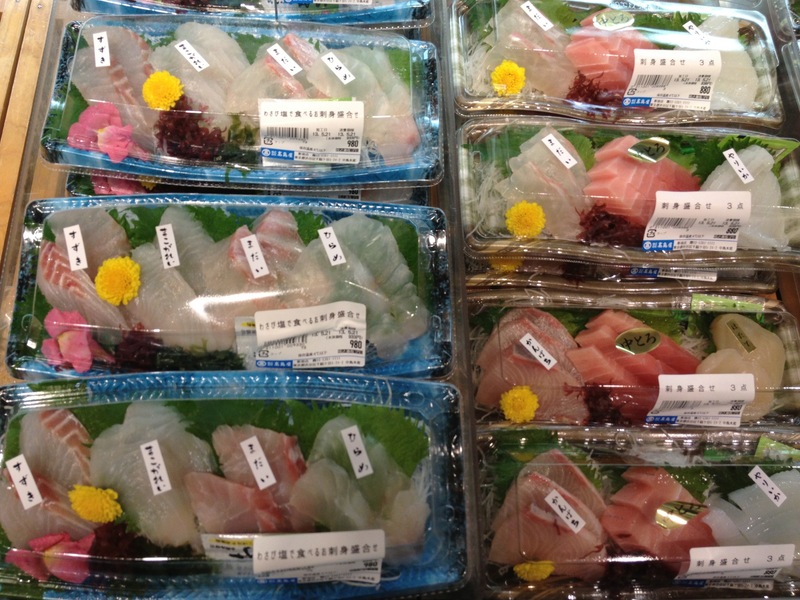 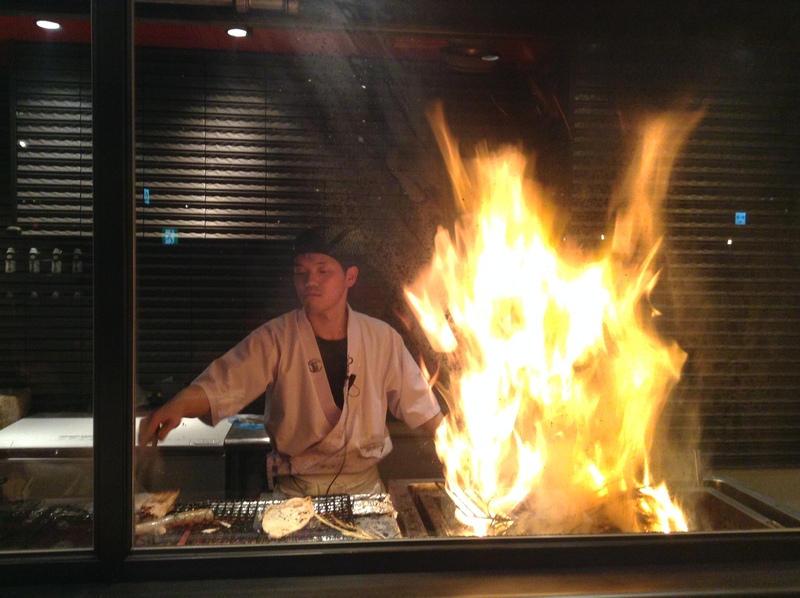 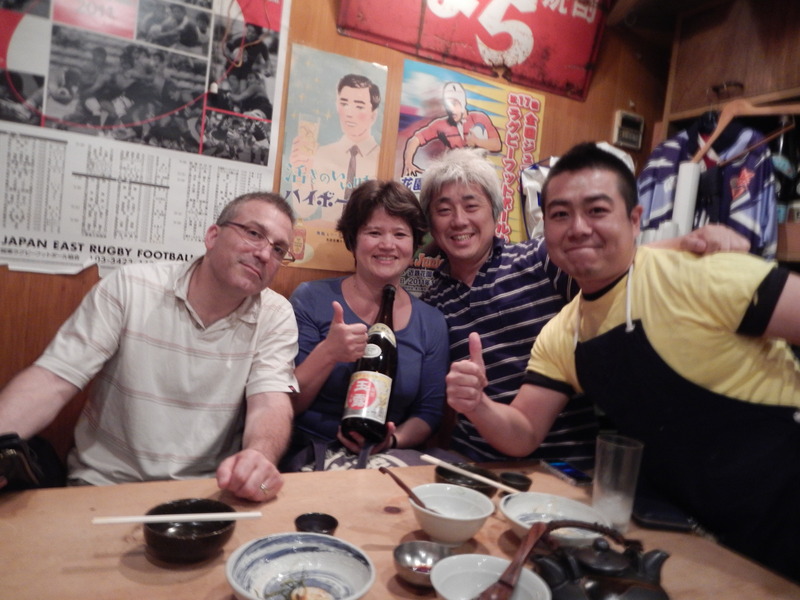 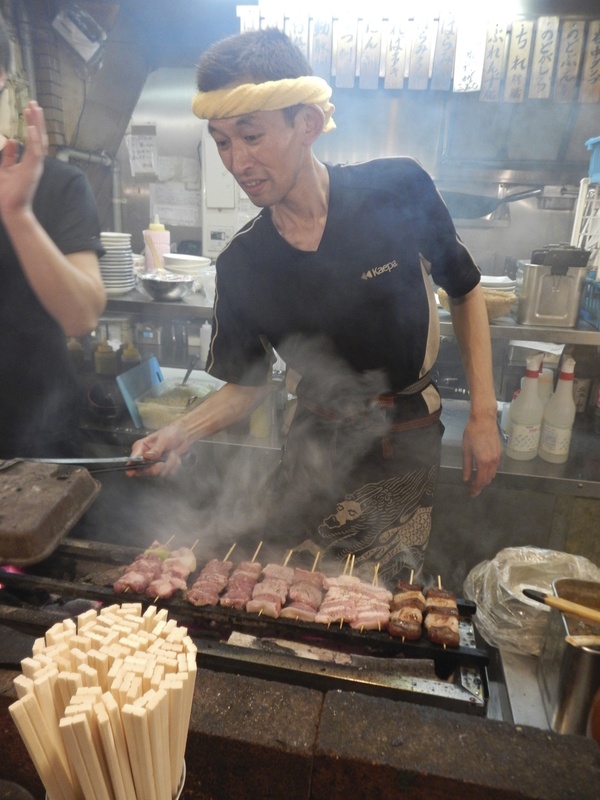 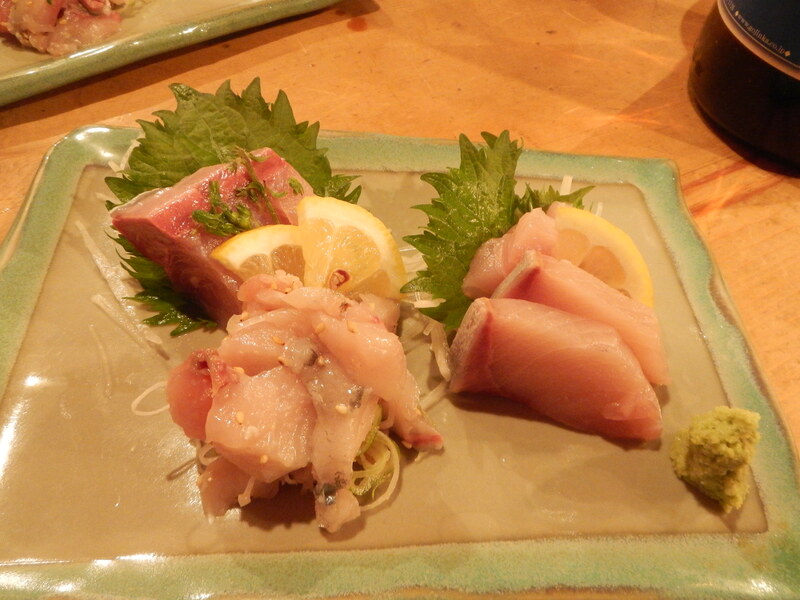 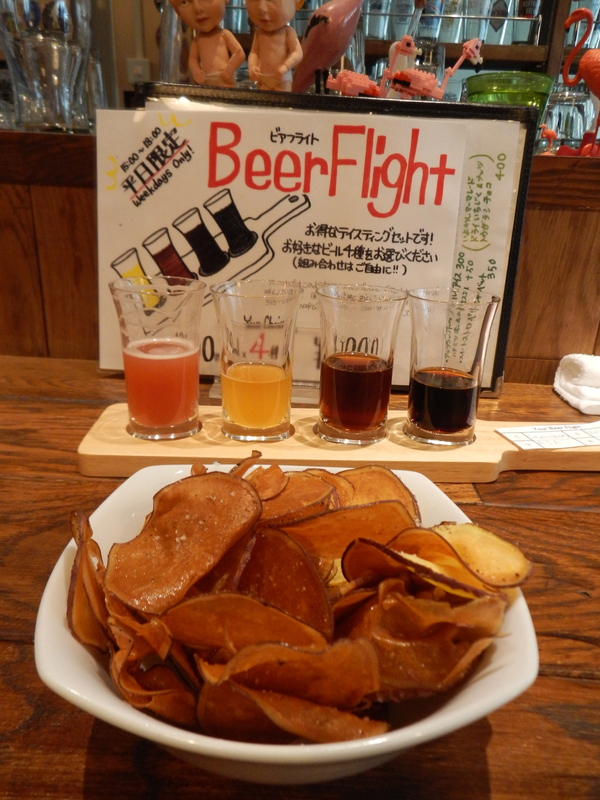 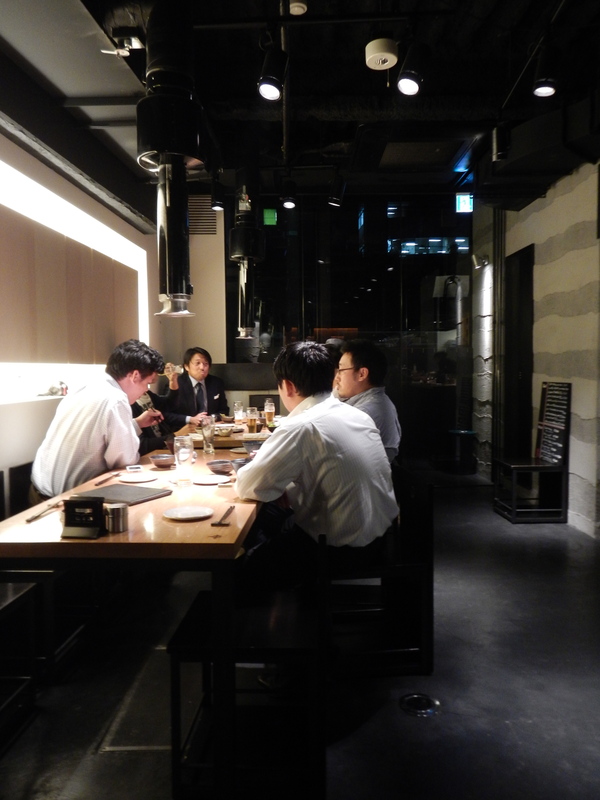 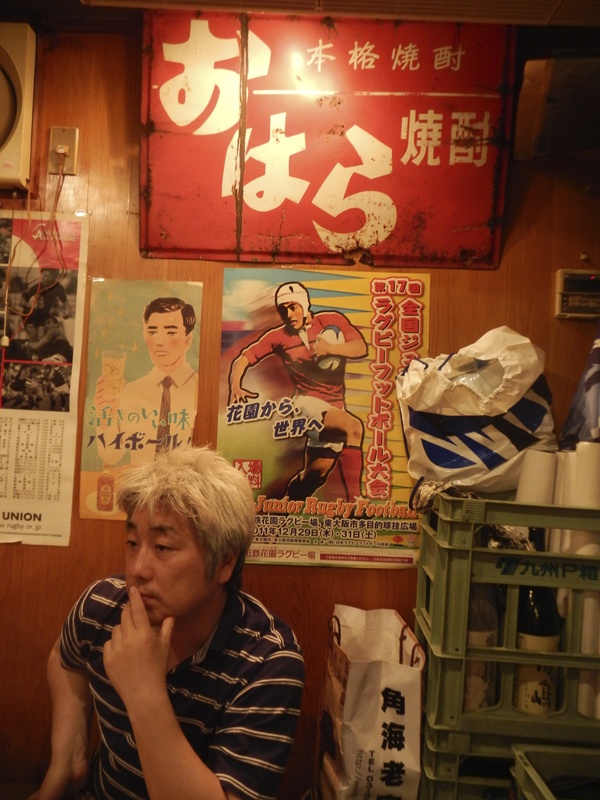 Tokyo is filled with a wide variety of izakaya, places with food and saké. 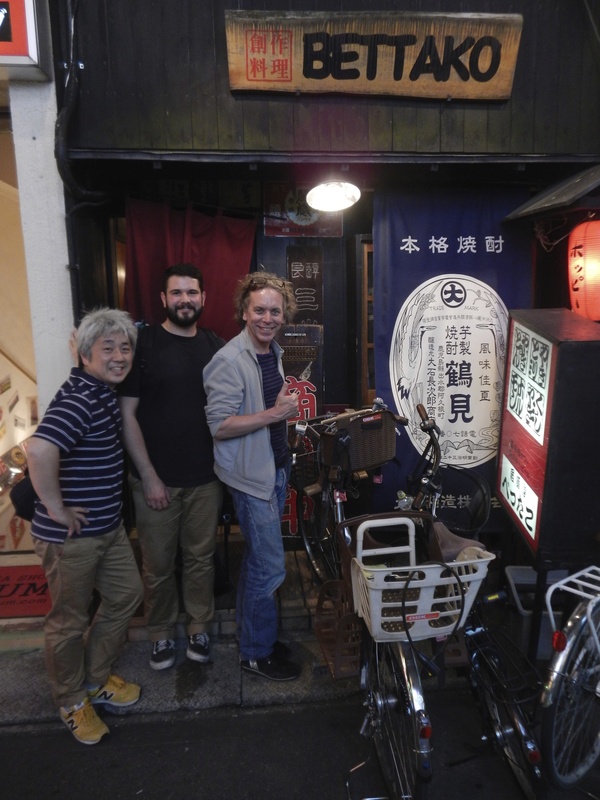 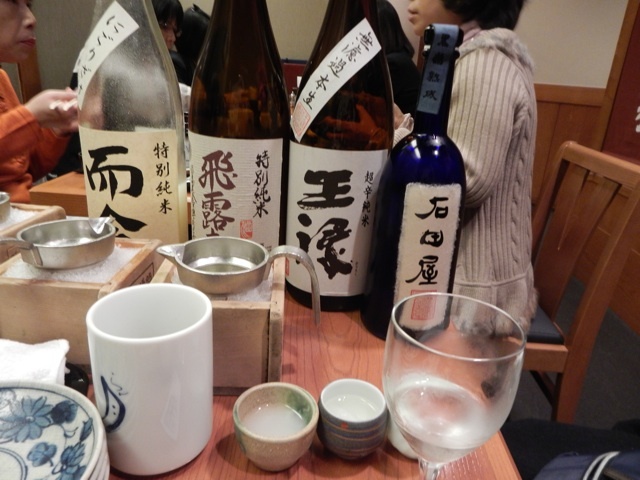 Recently I got together with friends, two editors from a popular food magazine, DANCYU, and a famous saké and shōchū authority for a night out. 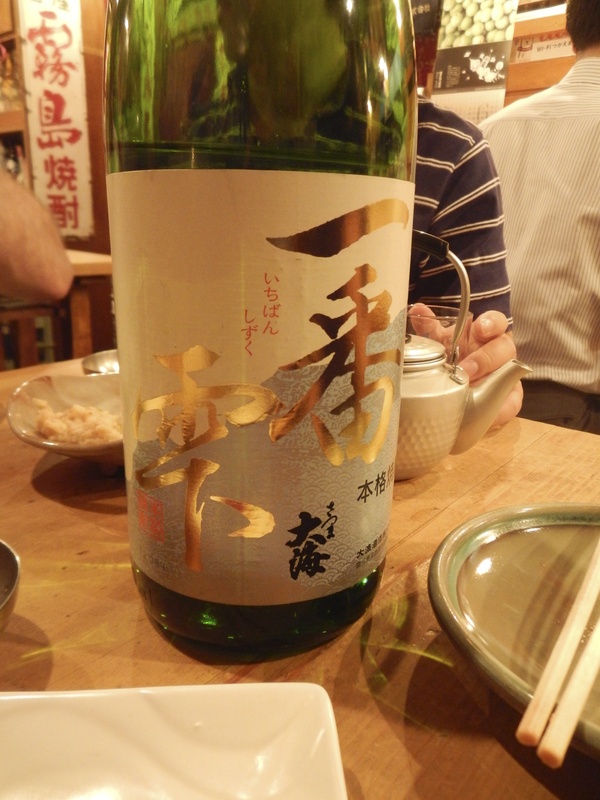 I was told that we were going to Sanukiya in Kōenji. 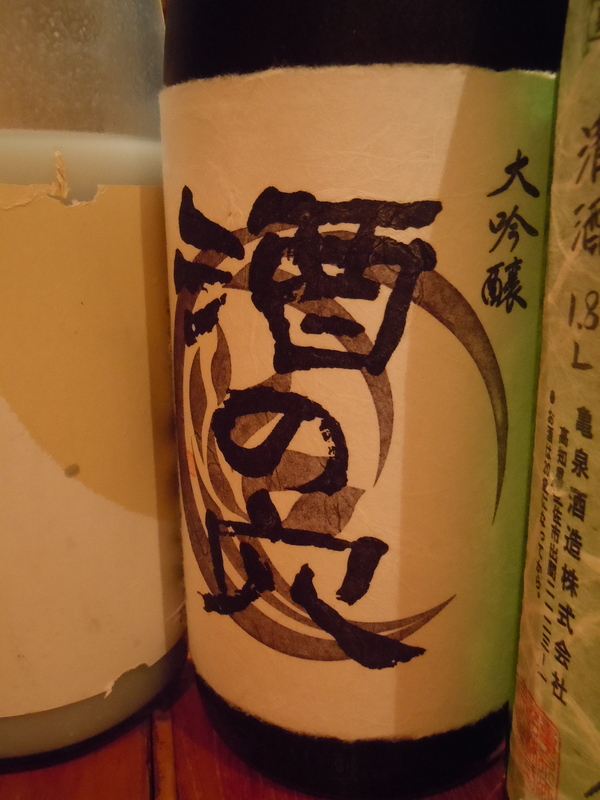 Sanuki is a region in Japan famous for its udon noodles, not for its saké so I was a bit puzzled. 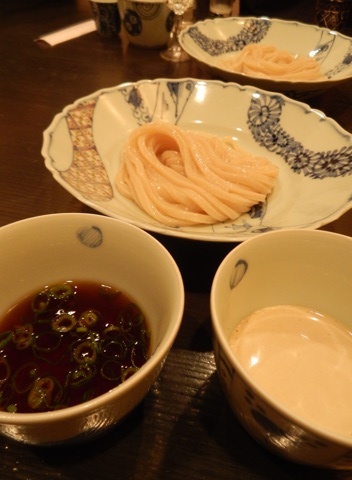 Udon is a noodle that is getting a lot of attention now. 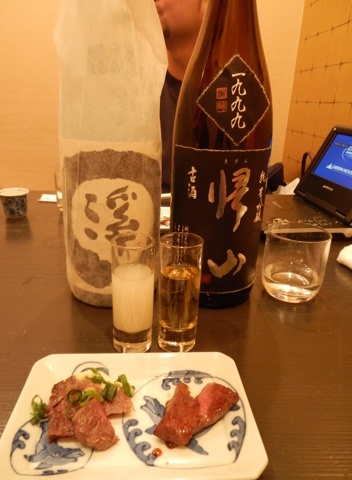 So much so that DANCYU did a big spread on it last month. 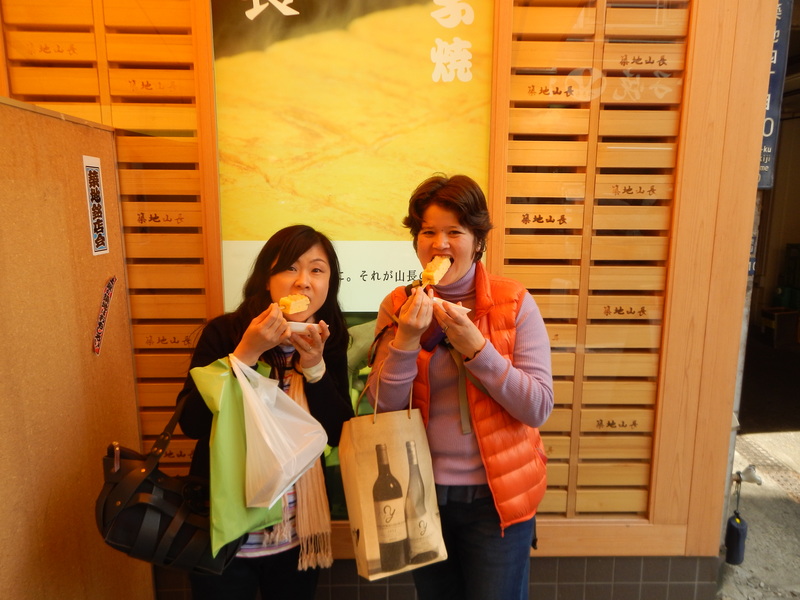 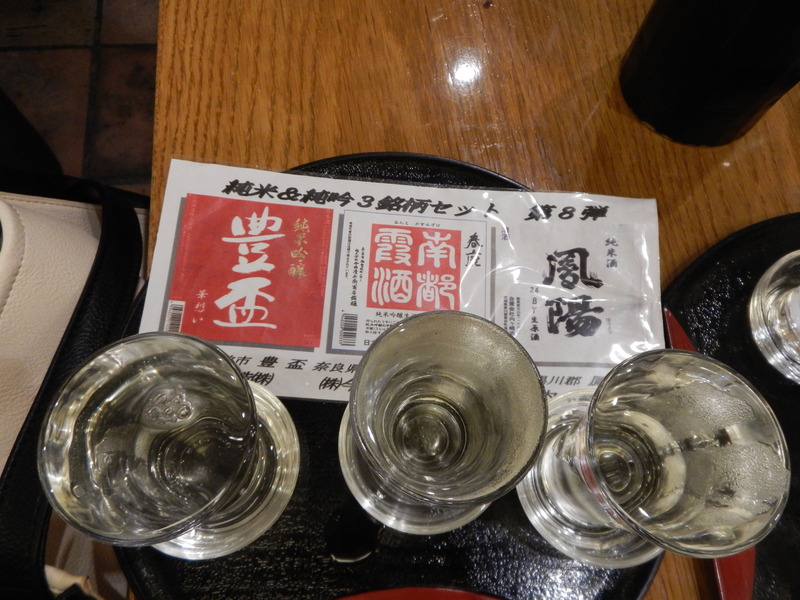 But, what kind of saké were we going to get at an udon shop? 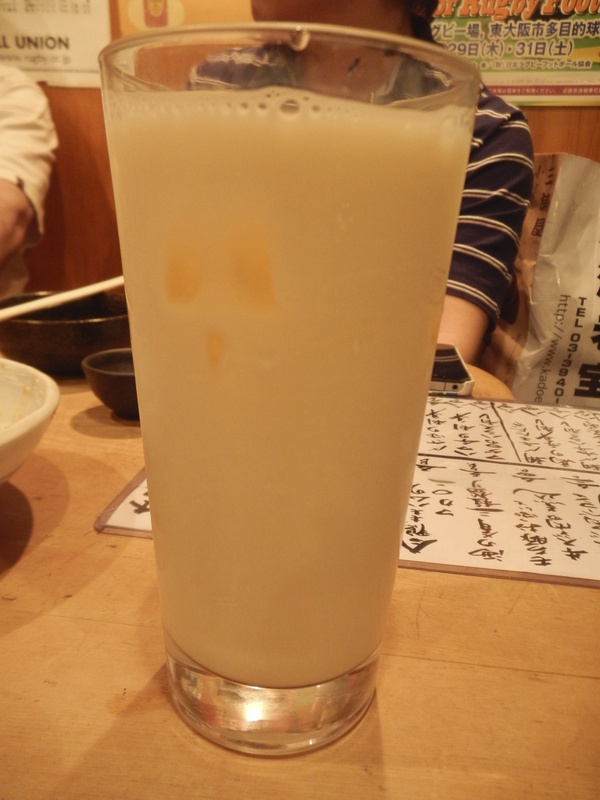 I wasn’t expecting much. 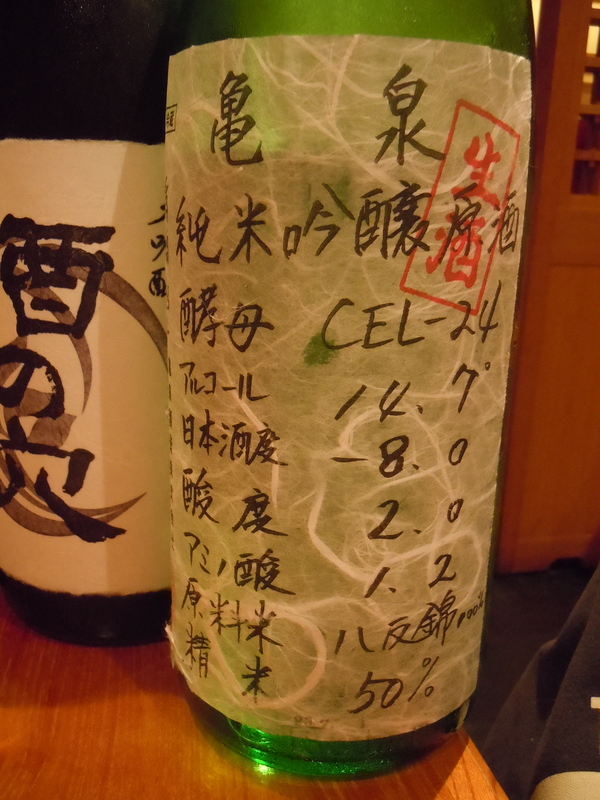 Until we sat down and Atsuko Sando Sensei, the saké authority, said, “Wow, this saké list is not made up of ozeki or sekiwaké (referring to ranks of sumo wrestlers), but these are all yokozuna (the highest rank of sumo wrestlers).” I knew immediately that we were in for a great evening of saké. 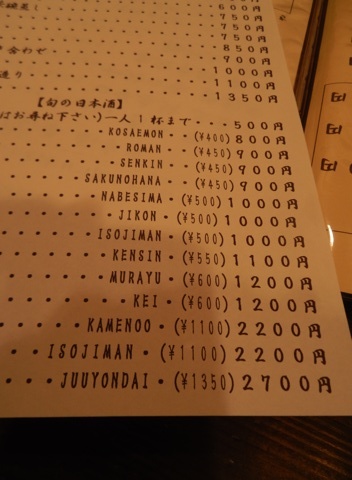 Just a quick look at the list above, some names jump out right away like Jikon, Kamenoo, and Juuyondai. 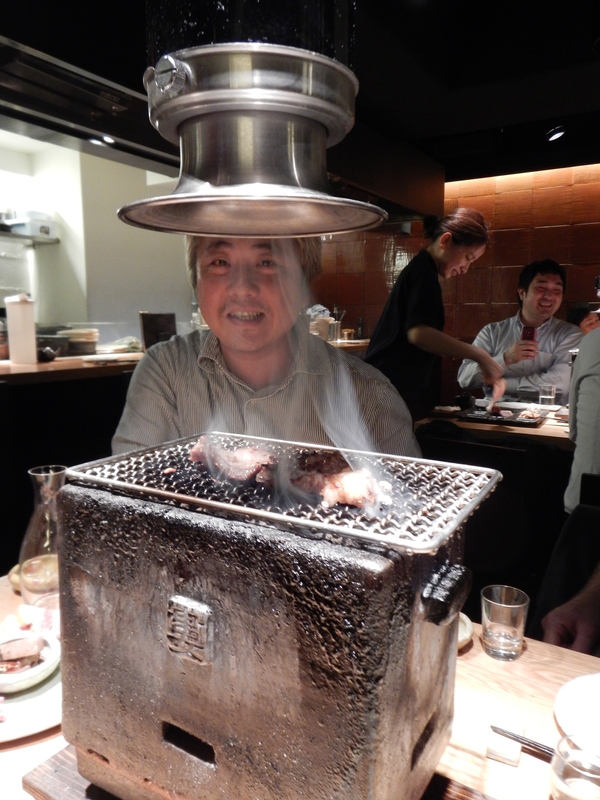 And, if Sando Sensei was excited, then surely we were in for a treat. 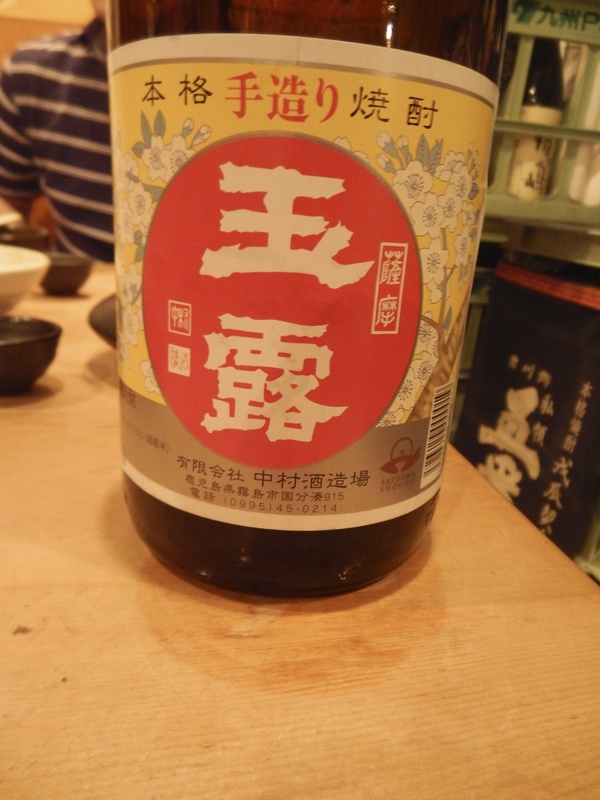 We started off with a slightly sweet saké. 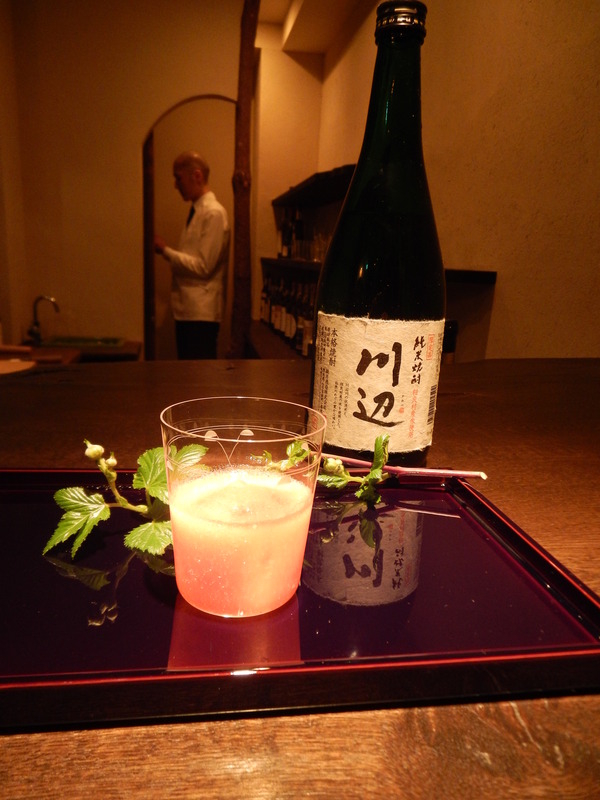 Perfect aperitif to begin the evening with. 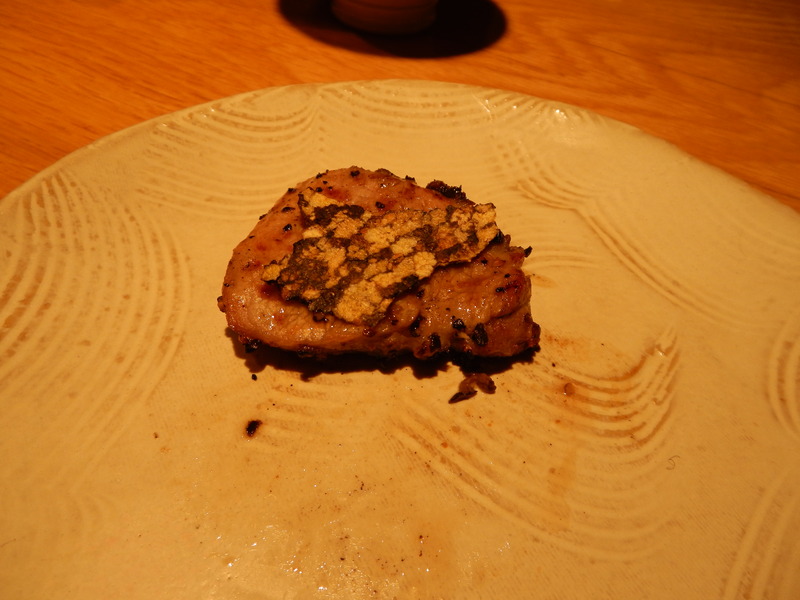 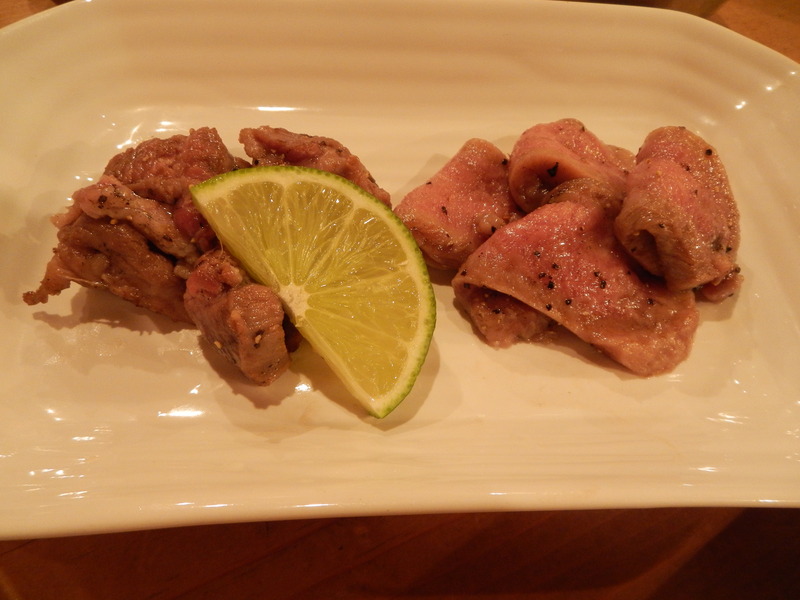 A frizzante Nabéshima Junmaiginjō from Saga prefecture was served with cod milt garnished with truffles and cured Yonezawa wagyū (imagine a cured ham, but made from wagyū). 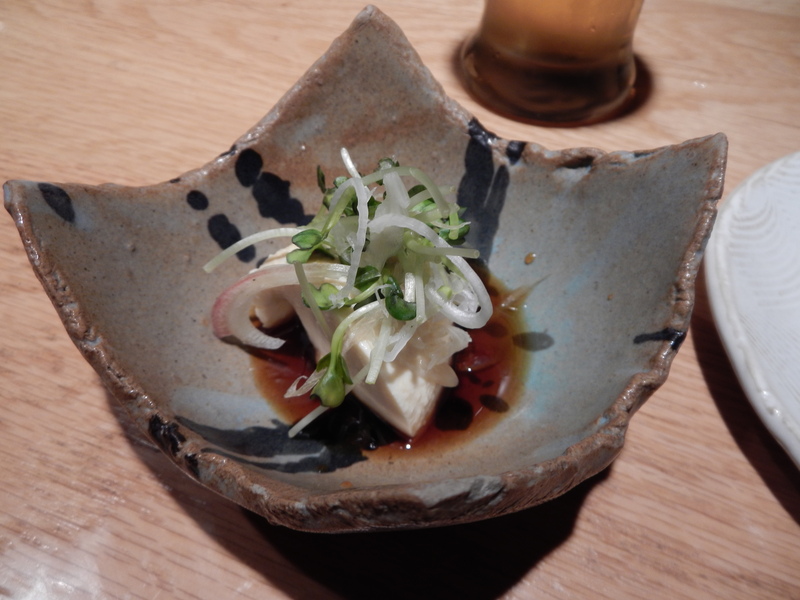 One of my favorite pairings was a foie gras chawanmushi (savory custard) and 10-year balsamico with Murayū Hon-nama Seishu. 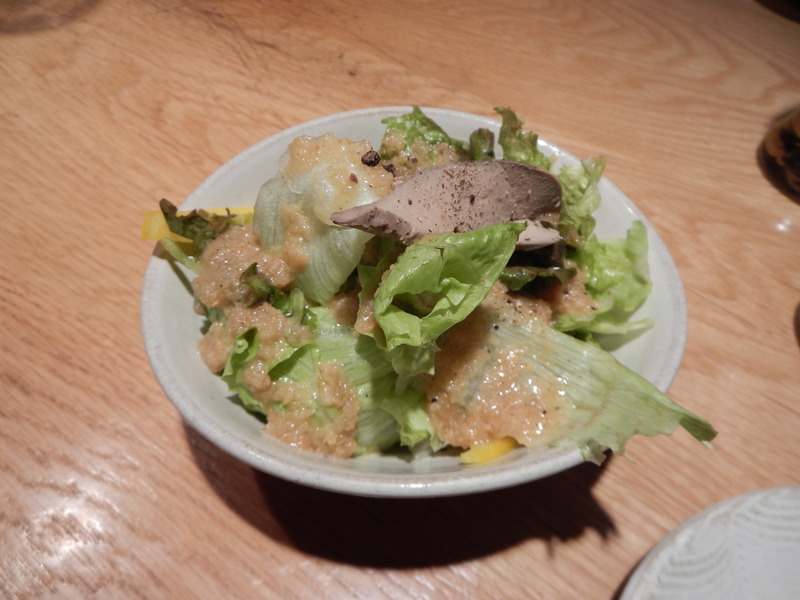 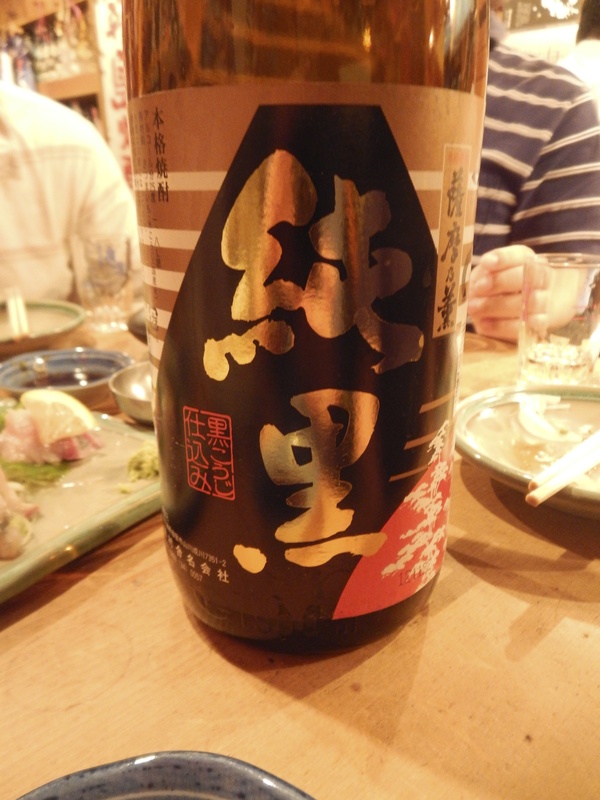 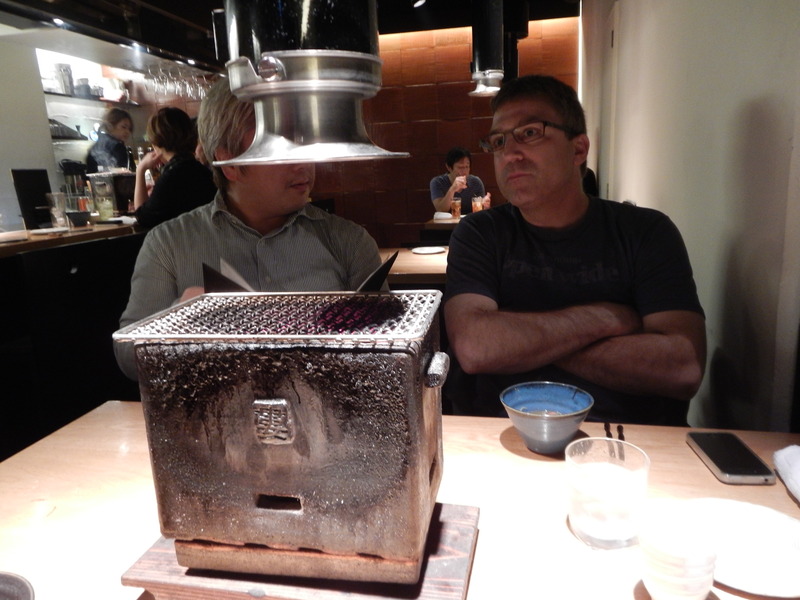 The saké was slightly sweet like wasanbon sugar – ideal for the foie gras and balsamico. 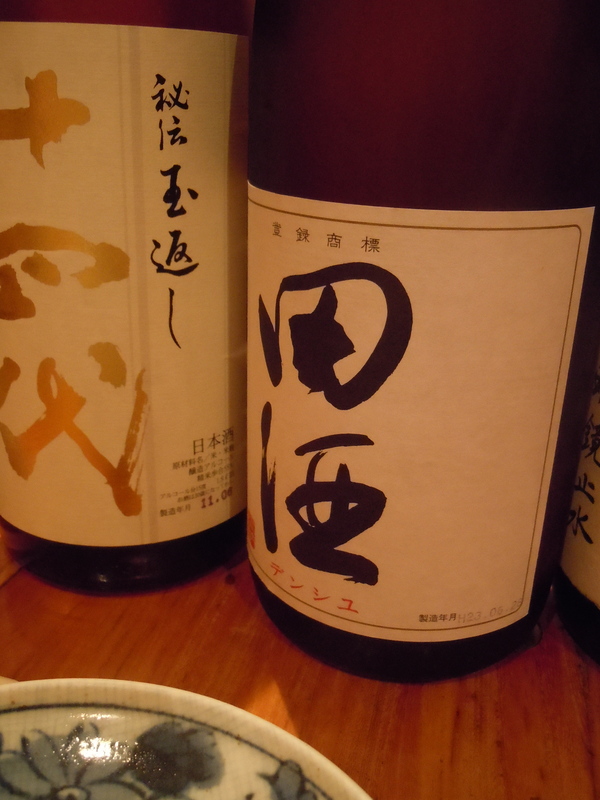 A perfect marriage of East and West. 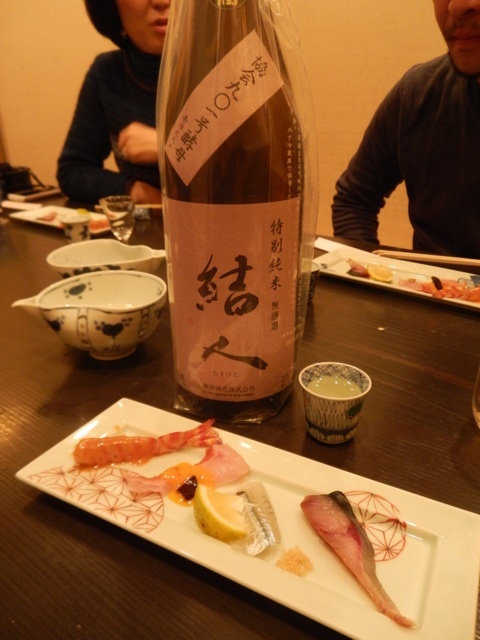 We took a warm saké, Musubi Tokubetsujunmai Muroka, with kuruma shrimp, kinmédai (splendid alfonsino) and truffle, saba (Pacific mackerel) that was cured in sugar and salt, and sayori (halfbeak) with a squeeze of sudachi citrus and Mongolian salt. 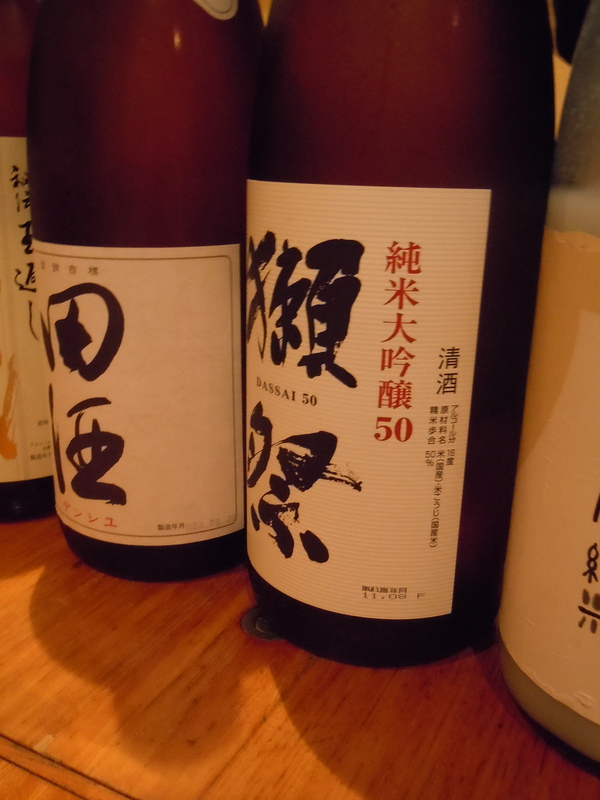 Warming up a saké brings out aromas and textures that may be more subtle in a chilled saké. 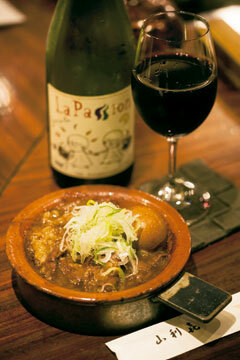 It also warms you up as you drink, much like gluhwein, hot mulled wine. 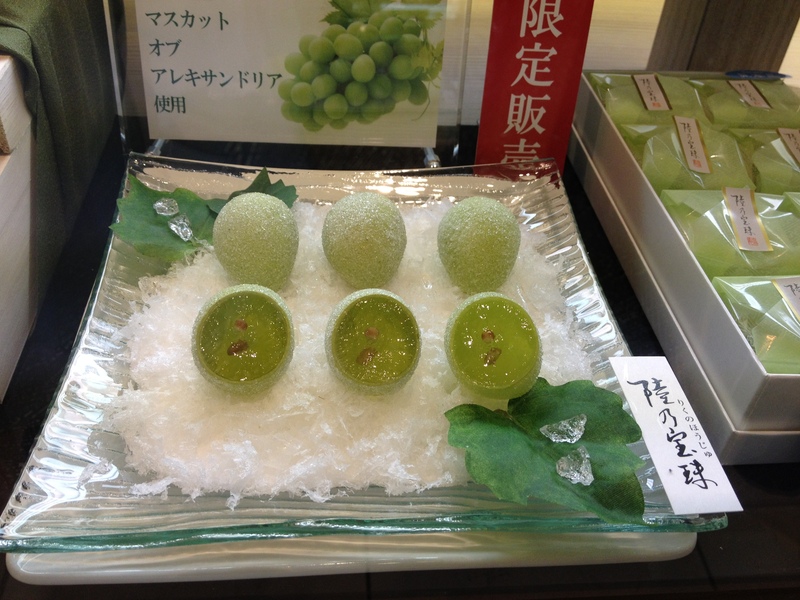 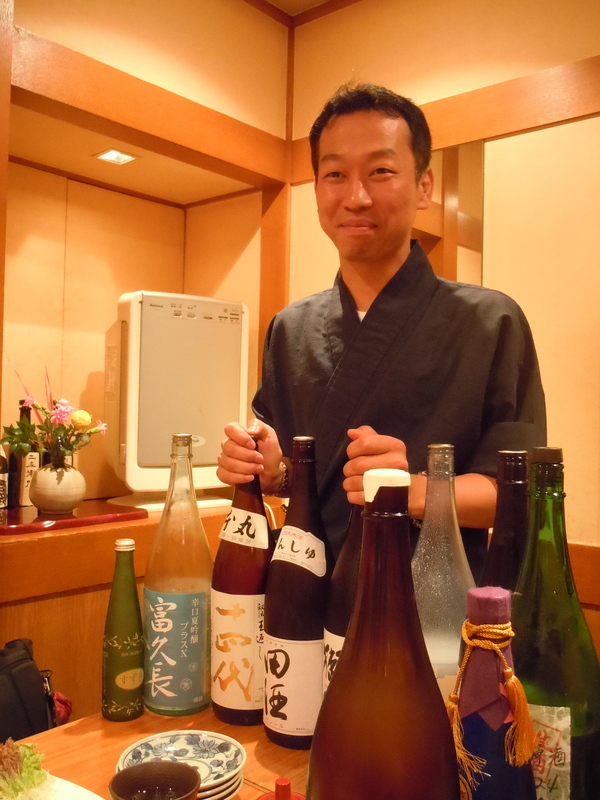 Chef Yasuhiro Kondō who not only knows how to pair saké with food, is also a cookbook author. 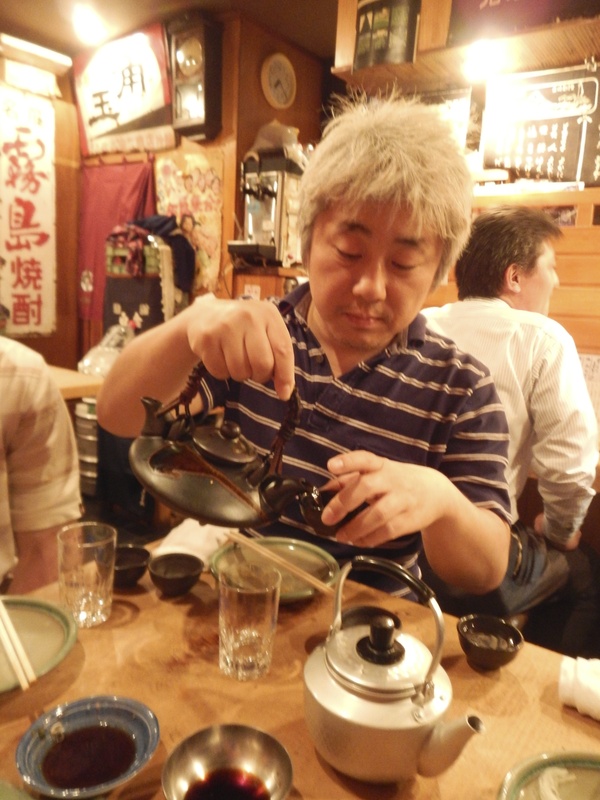 He is with Muneki Mizutani-san who is a former editor with DANCYU and is now the editor of a very cool new business magazine that is in manga form, Manga PRESIDENT. 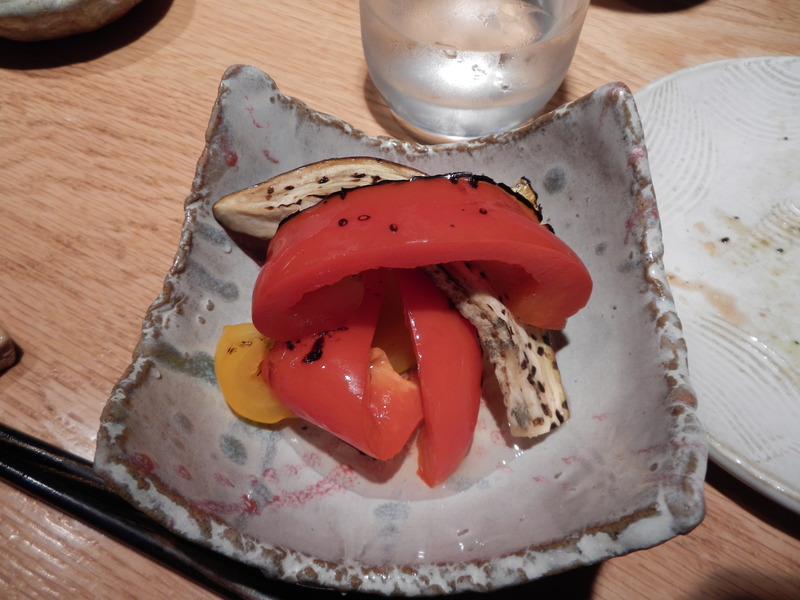 Jūyondai Shichi Tare Nijikkan Junmai Daiginjō was served with a tomato jelly. 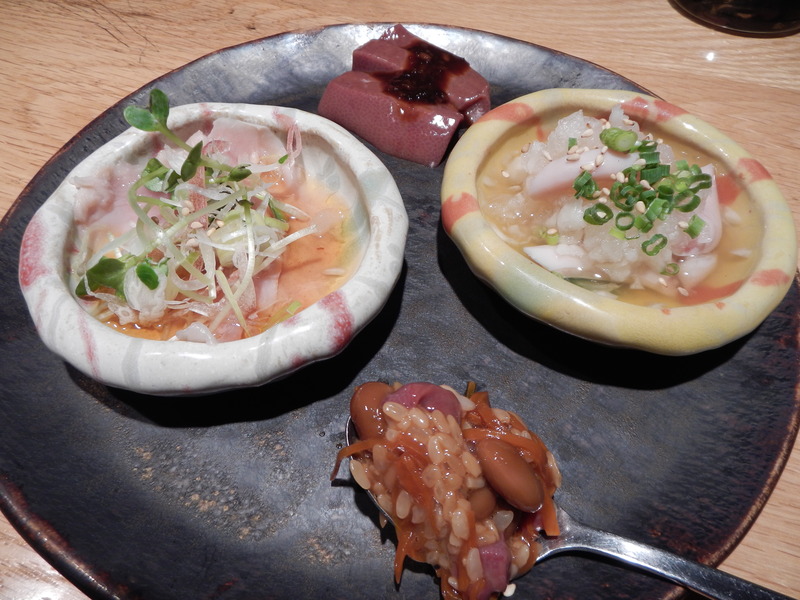 Here we had a creamy nigorizaké paired with Yonézawa wagyū in a yogurt sauce – the two creamy items were an ideal match. 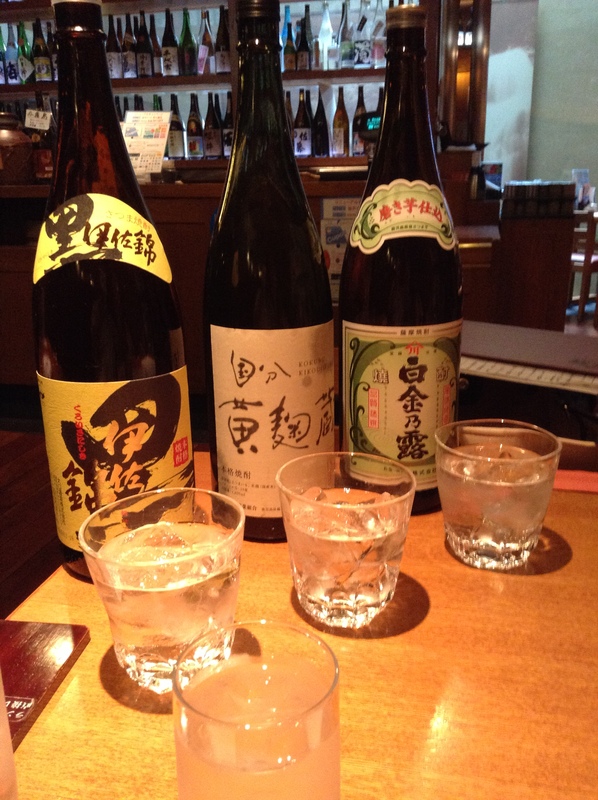 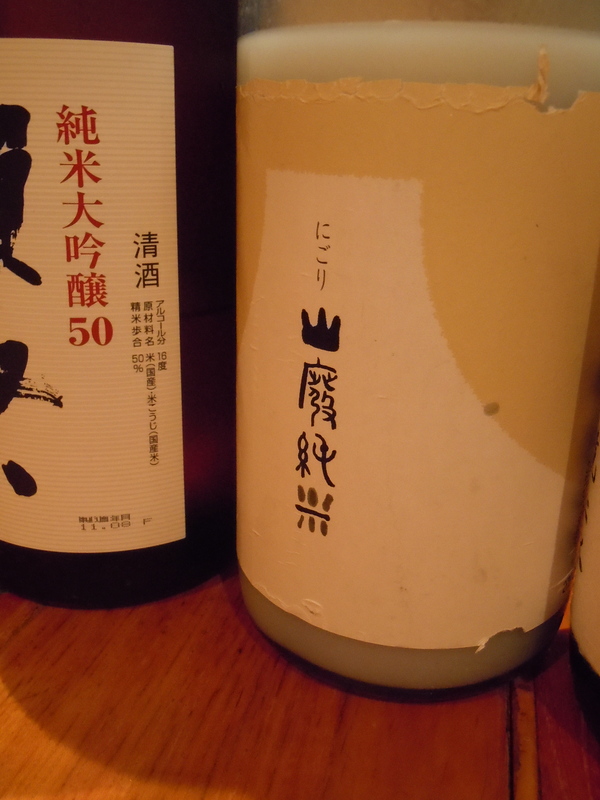 The saké on the right is a Kizan kōshu (aged saké) from 1999 – also perfect with the teriyaki Yonézawa wagyū. 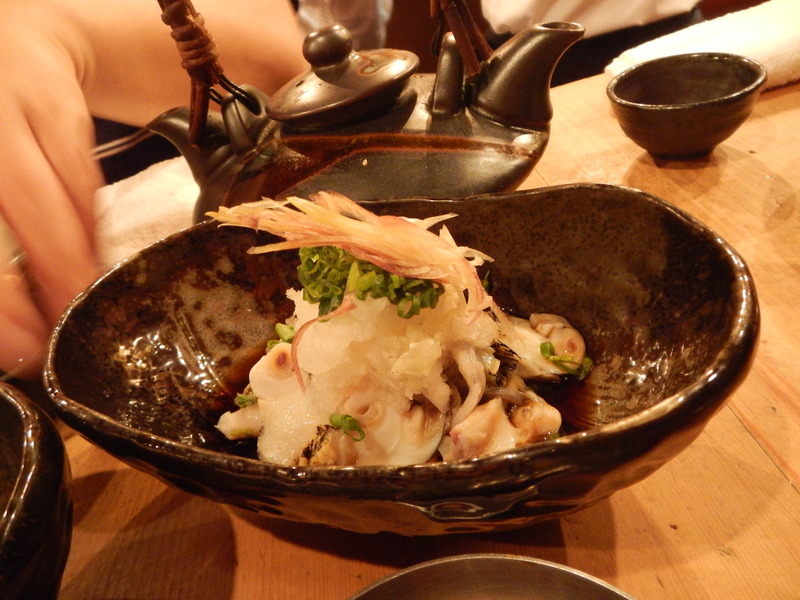 And, finally, the udon noodle course. 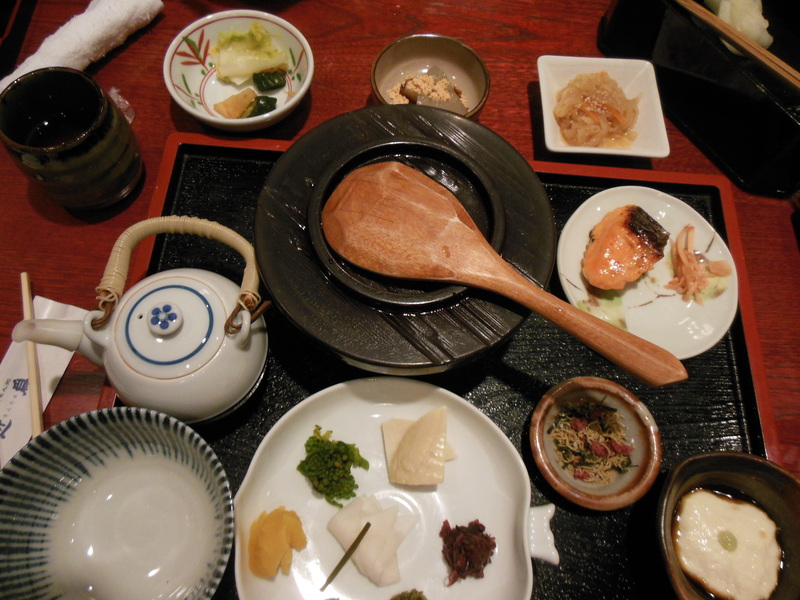 With chef Kondō’s signature tsuyu dipping broth on the left and a nutty, creamy sesame dipping sauce on the right. 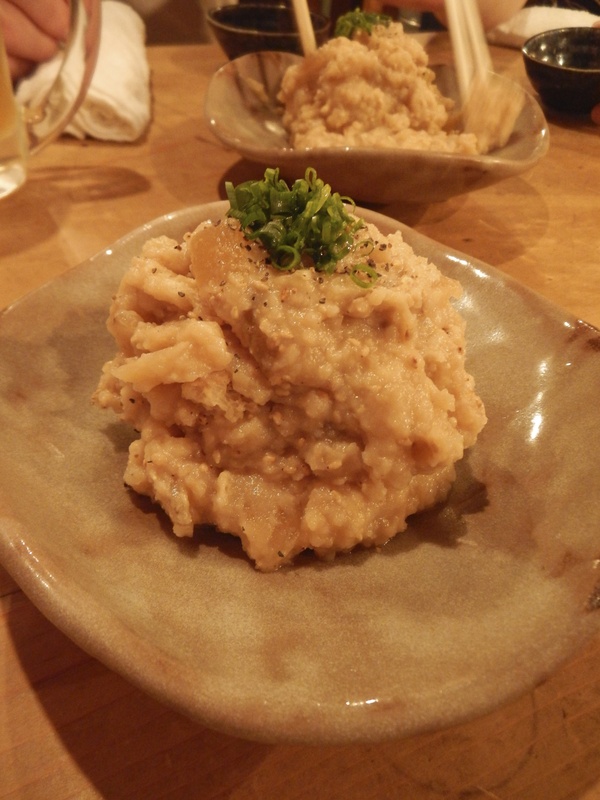 His cookbook is based on small bites all made using tsuyu. 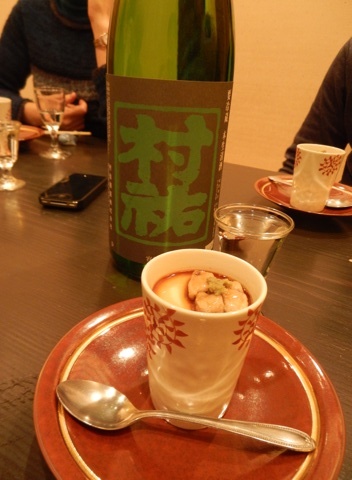 Tsuyu can be made from scratch, but most homes keep a bottle of it at home for last minute udon or soba meals. 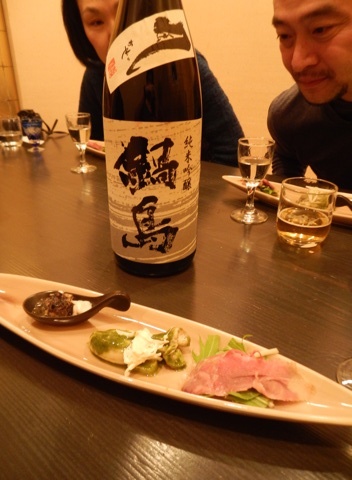 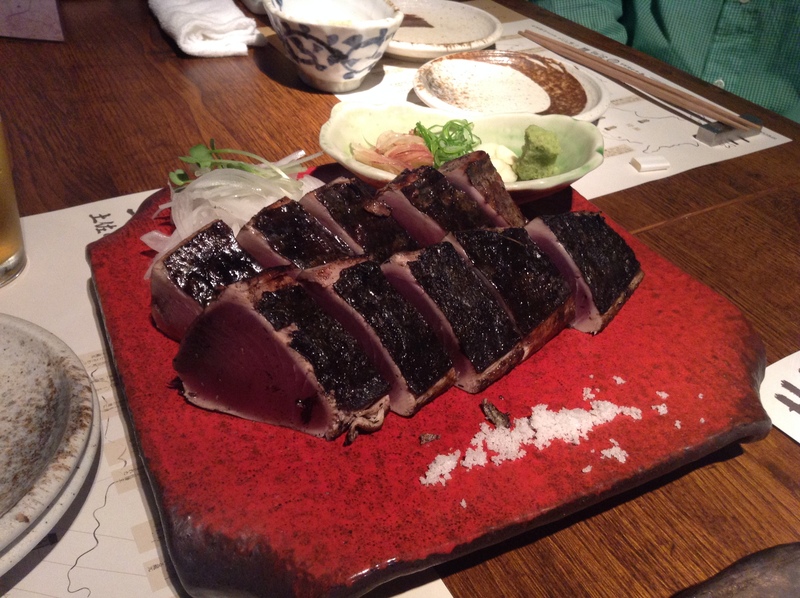 Chef Kondō’s is a soy-based sauce that is made with kombu (a sea vegetable rich in natural umami), niboshi (dried sardines), bushi (dried and smoked fish flakes from both Pacific mackerel and skipjack tuna), and sugar. 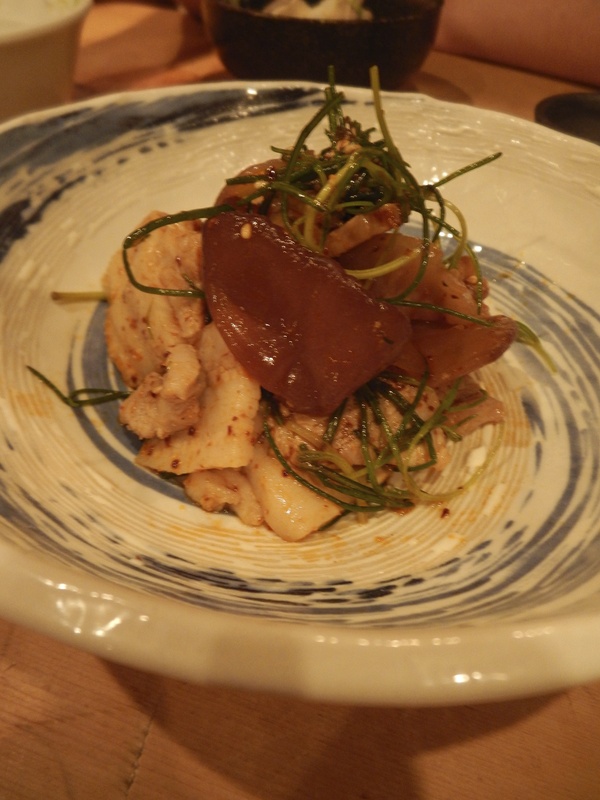 This flavorful sauce can be used for a wide variety of dishes, hence Chef Kondō’s cookbook. 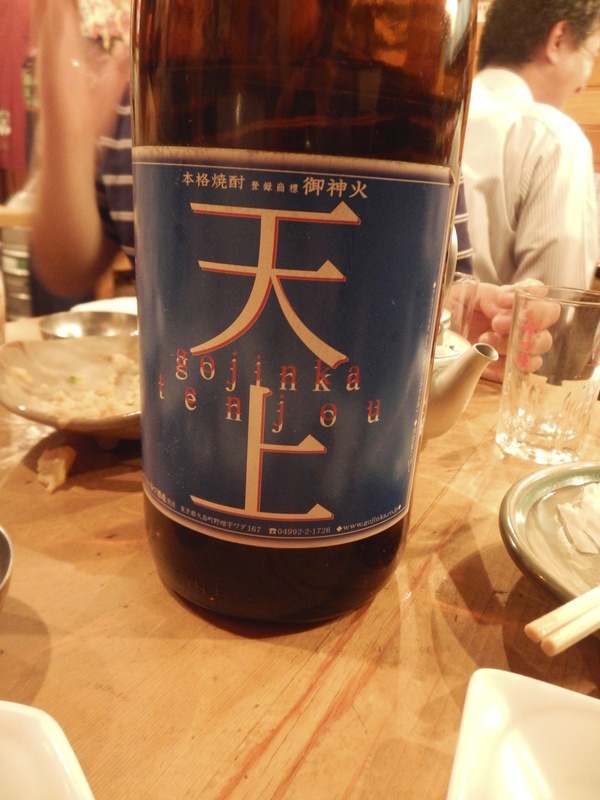 And closing off the evening with Jikon Junmai Ginjō from Mie prefecture. 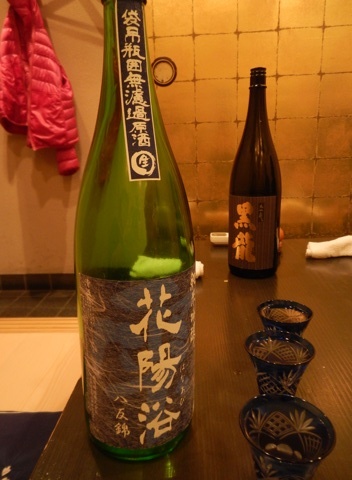 This saké is subtle and elegant while still having a richness to it – perfect for the udon noodles. 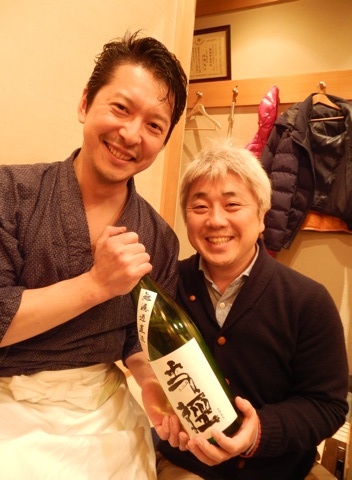 Sando Sensei is playing it up with Saito-san, also an editor at DANCYU. 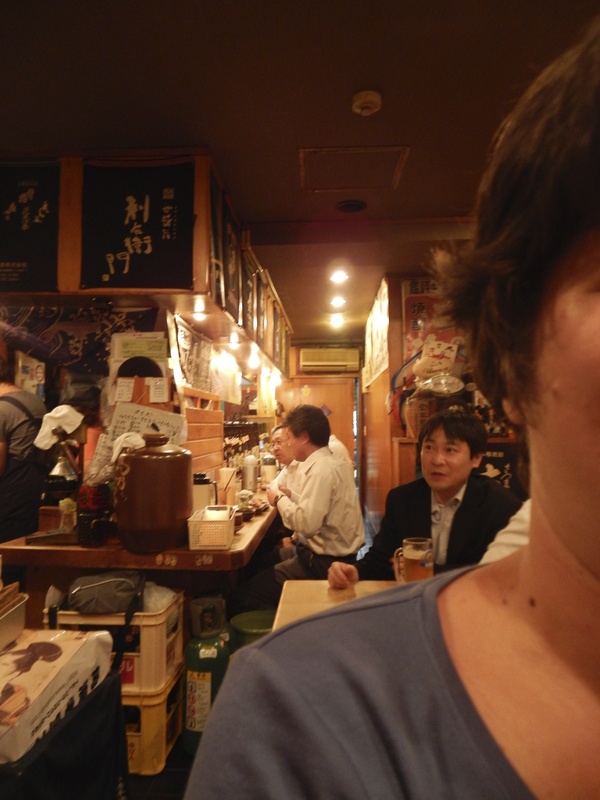 Sando Sensei has written several books. 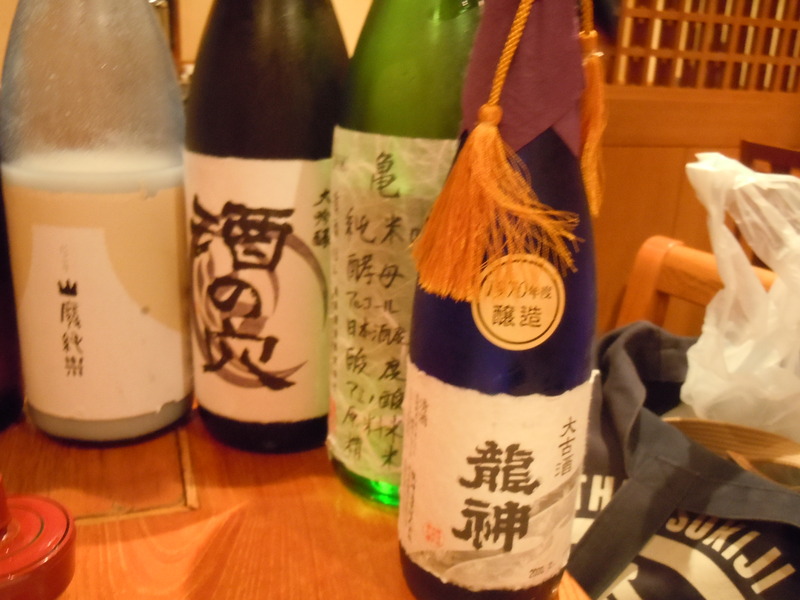 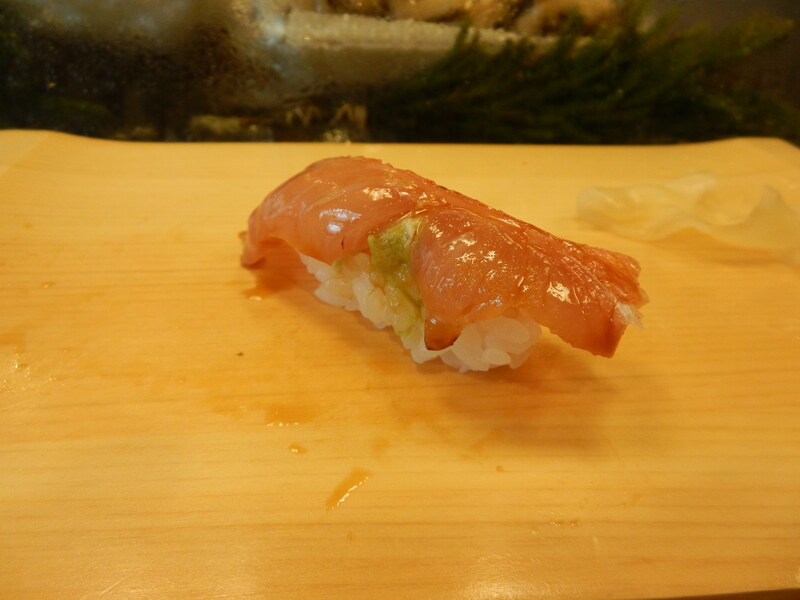 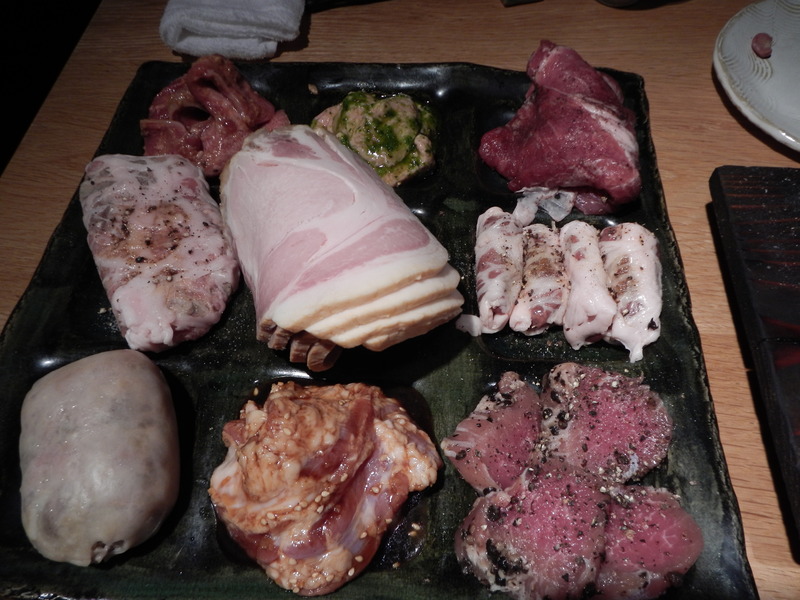 While this was not all that we had this evening, it is the highlights of a great night out in Tokyo. 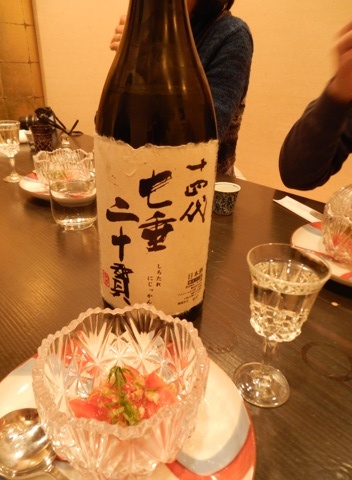 I highly recommend Sanukiya in Kōenji. 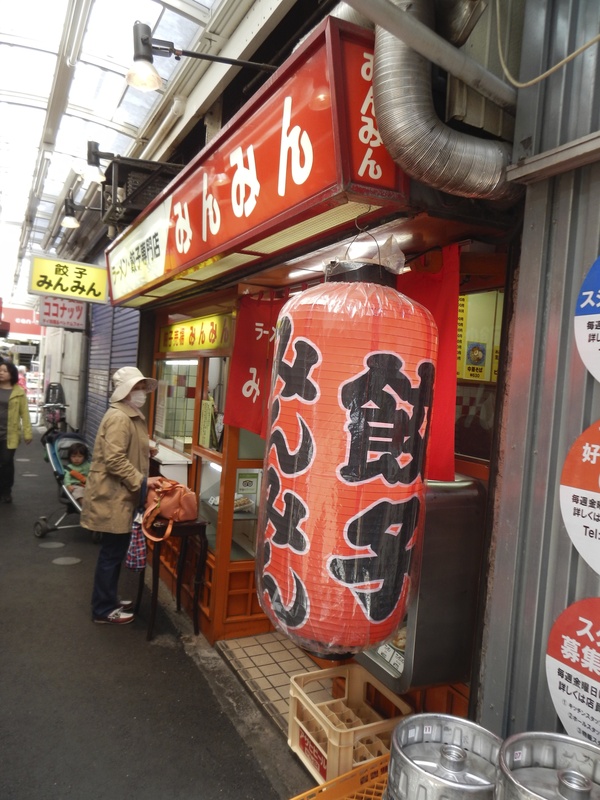 It’s a short trip from Shinjuku. 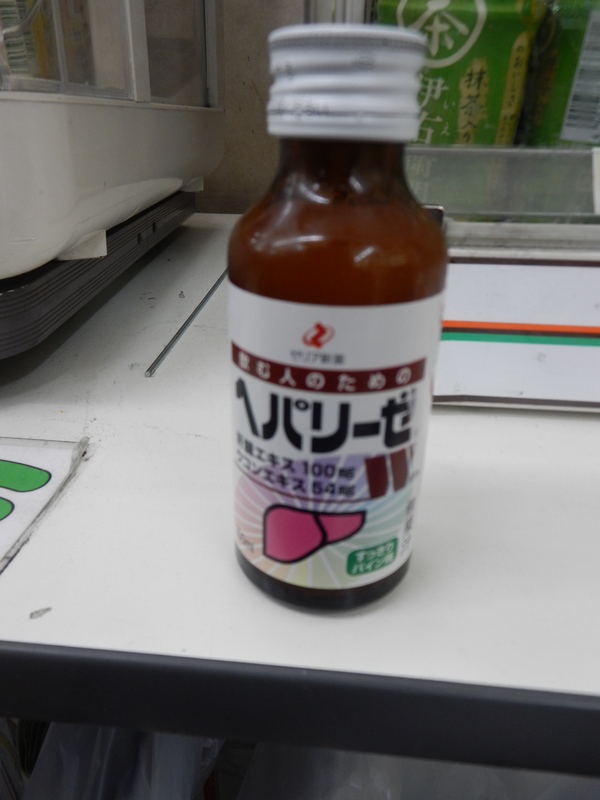 No English.